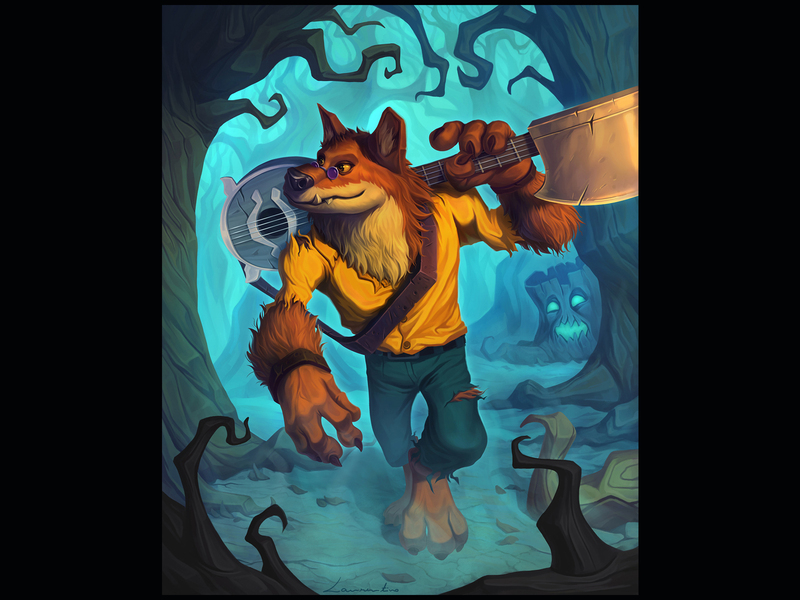 Worgen fanart I started for a contest on #desafio2minds with Hearthstone Brazil where I should make a Worgen version of myself. I chose a moment of my life where I used to play the guitar and had a band and everything. 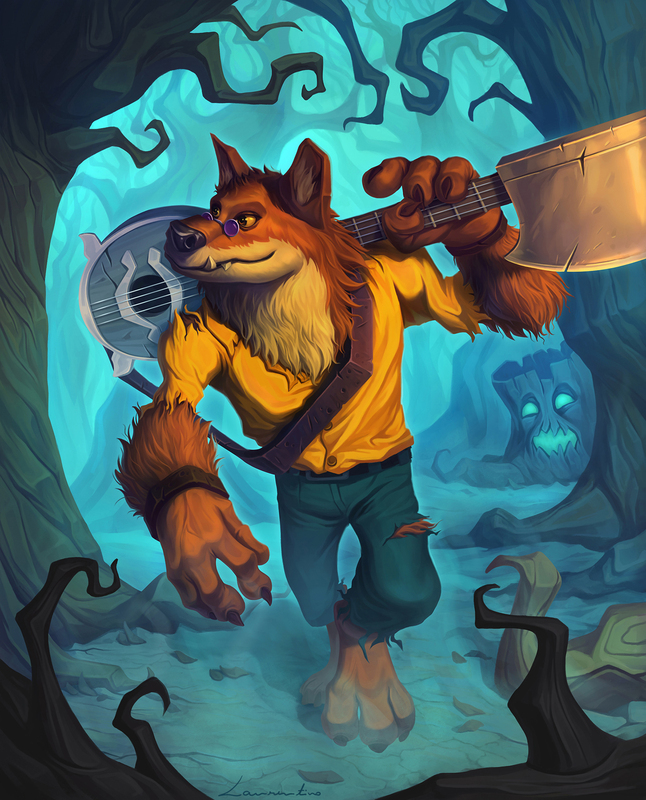 Now, as a Worgen, I just wander out there looking for musical inspiration.